slaughterhouse 5 | Next goal wins laaaaaaads! I read Slaughter House 5 a long time ago when I was working out in Germany. In the days before ipod/phones I used to read on the tram and bus journeys to work. The book is semi-autobiographical and easy to read in terms of style, but harder to inwardly digest. The author, Kurt Vonnegut goes up in my estimation the more I find out about him. I posted a blog entry on him previously after seeing a clip of a lecture he gave on “Story Styles”. Since then I have discovered and read two letters written at different stages of his life. One letter he typed to his family at the end of WWII and the other was sent to some high school students almost 40 years later in 2006. 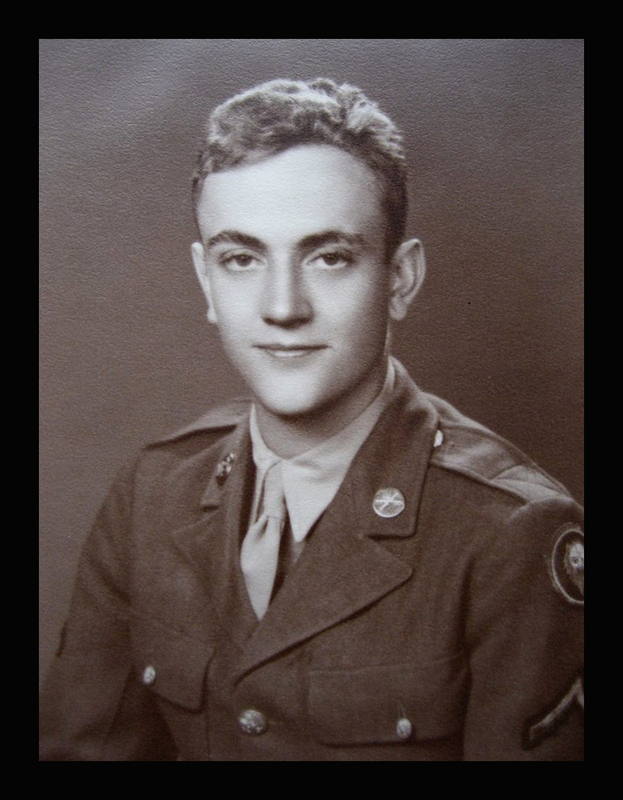 Vonnegut enlisted in the US Army in 1943 and by the following year he was fighting in the Ardennes. It was here that he became a POW during the Battle of the Bulge. By 1945 he was in Germany, in Dresden to be precise. This is the city where his book Slaughter House 5 is set. Dresden. is a place that I have been to; it is a very beautiful city with an Old Town that has half timbered houses. It has some wonderful architecture with palaces, churches and a very famous opera house. Visit Dresden today and you will see very little evidence that it was a scene of mass death and destruction towards the end of the War in Europe. The city was the target of heavy bombing by the RAF which resulted in a huge firestorm. Vonnegut was there to see the city burn on Valentine’s Day 1945 that many of its victims simply suffocated to death. The reason for this was that the fire was so intense that its flames consumed all the available oxygen in the combustion process. The things that he must have experienced, one cannot begin to imagine. It was a shocking and disturbing thing to see first hand but he dealt with it and enjoyed successful writing career. 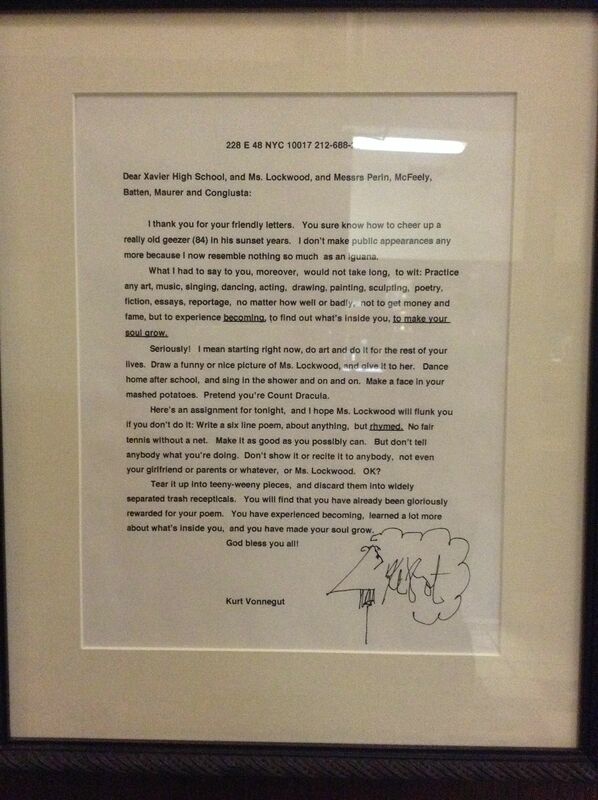 Towards the end of his life Vonnegut was invited to come and visit their class by some New York high school students. He politely declined the invitation by sending this letter to the school. It just illustrates what an absolute diamond the man was. Make Your Soul Grow from Bader Rudebeck Films on Vimeo. Some people just do things right. Kurt Vonnegut is one such man. Weird people is maybe not the right title, but read on and you will catch the drift. Weird people – the sort that do not conform, individuals that do not wear a label that you can read, in order to pop them in a pigeon hole. . I am talking about what we in England call “eccentrics”. These are the individuals who stand out in a crowd, not for their loud dress sense, but more for the way that they are wired up internally. They are “characters” and are often looked at with affection by the general population, but normally at arm’s length, because let us face facts – these people are still weird after all. I think I have the makings of a list here and another series of posts. Kurt Vonnegut is going to be put forward as my first example of a weird kind of guy. You only have to read Slaughterhouse 5 to know what I mean. When I was asked by some what the book was about all I could do was say that it was a semi-autobiographical novel about a soldier in WWII, but it was very weird. Not exactly a review fit for the TLS, but I am more interested in the author and not his work. His wit and humour come through in this video of him speaking on stage about the formulae used in writing stories. This video came from stumbling upon a wonderful blog at www.kottke.org. This site is something that I can only admire and aspire to.